This is not the entire magazine it is a replica print of the front cover only. Excellent for Framing and hanging in the Man Cave or a childs room! Sports Illustrated 'Best Damn Team In The Land. Ohio State Shocks Miami to Win The National Title'. VERY GOOD condition (Binding, corners, edges all in excellent condition, very minor marks on cover). 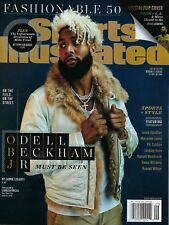 Sports Illustrated For Kids NO LABEL. All my magazines range from EX to Mint Condition. No Exceptions! I will look up the cost and reply to you asap. Take a look at the pictures provided. I take pride in providing excellent guest service and communication. ONE OF THREE DIFFERENT COVERS FOR THIS WEEK. No Exceptions! March 1999 Sports Illustrated For Kids That's All Folk! BECKETT BASKETBALL COLLECTOR LEBRON JAMES APRIL 2003 RARE COVER 1 OF 2 UNOPENED! Collectible issue 1 of 2. April 2003, Vol 14, Number 4, Issue #153. NO LABEL - CAMPUS EDITION. Great issue honoring this great player. Great collectable. Check photos to evaluate. SI: Sports Illustrated October 26, 2009 Watch Out! 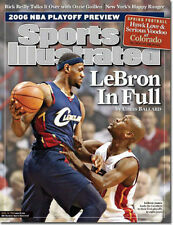 Shaq Lebron Cavaliers VG. 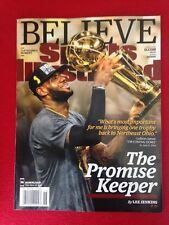 2012 sports illustrated Lebron James sportsman of the year NO LABEL!! 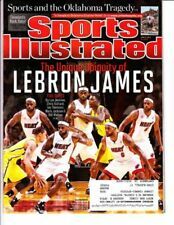 June 12, 2006 Sports Illustrated magazine in GEM Mint condition featuring Dwyane Wade of the Miami Heat. See scan for details. 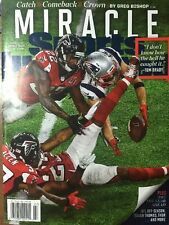 Lot of 26 used Sports Illustrated back issues published throughout 2018. Lebron James Sports Illustrated Magazine "JUNE 2013" "THE UNIQUE UBIQUITY"